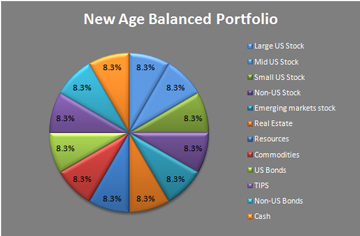 7Twelve is a multi-asset balanced portfolio developed by Craig L. Israelsen, Ph.D. in 2008. Unlike a traditional two-asset 60/40 balanced fund, the 7Twelve balanced strategy utilizes multiple asset classes to enhance performance and reduce risk. The 7 of 7Twelve represents the suggested number of asset classes to include in your portfolio. The Twelve represents the 12 separate mutual funds or exchange traded products to fully represent the 7 asset classes in your 7Twelve portfolio. Our portfolio has approximately a 65/35 allocation: approximately 65% of the portfolio is invested in equity and diversifying assets and about 35% invested in bonds and cash. Each mutual fund (or "sub-asset") in the 7Twelve strategy is equally weighted, meaning that each fund represents 1/12th of the portfolio. 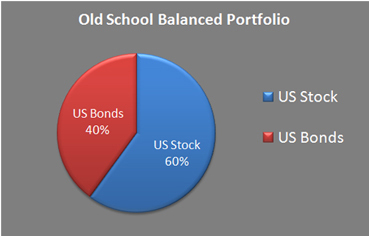 This allocation is maintained by rebalancing the portfolio back to equal portions annually, quarterly or monthly. 7Twelve can represent the "core" of any portfolio. A financial advisor should not be spending time designing a portfolio core for every client. Rather, the advisor should be determining how much of the pre-designed core to utilize for each client and what type of individualized "explore" assets to add around the "core" to best meet the client’s unique needs and circumstances. Using 7Twelve as the core portfolio ingredient can enhance the efficiency of a financial advisor and the portfolio performance for the investor. The 7Twelve portfolio is a strategic model – meaning that it does not rely on tactical changes. The "core" 7Twelve portfolio is a broadly diversified portfolio with equal allocations to all 12 mutual funds (or ETFs) all of the time. Additionally, there are "age-based" versions of the 7Twelve model where all 12 mutual funds are utilized, but not in equal allocations. Click here to purchase 7Twelve Portfolio Reports. Click here to download information about our 7Twelve 9th Annual Conference, February 3-10, 2019, NCL Cruise. Click here to download information about 7Twelve Partners (for financial advisors only). Click here to download "An Introduction to 7Twelve." Click here to download an article about sensible performance benchmarking. Click here to download the S&P 7Twelve Indices. 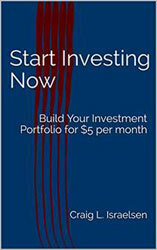 Click here to download the "The $12 Portfolio". Click here to go to the 7Twelve Portfolio Library. 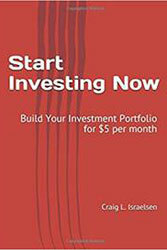 Purchase your copy of Start Investing Now in either paperback or kindle format. 7Twelve® 9th Annual Conference scheduled for February 3-10, 2019 on the Norwegian Getaway. Download the agenda and reserve your seat now!